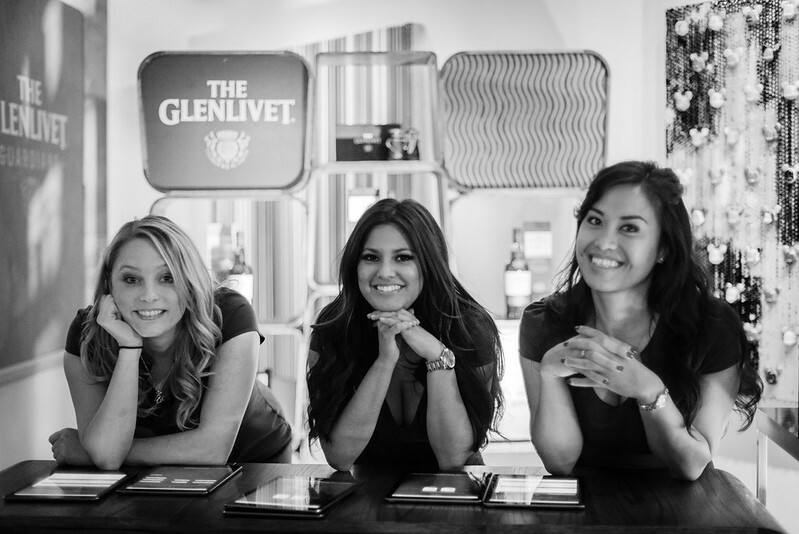 The Glenlivet Adventure in DC!! Greetings fellow Scotch lovers! 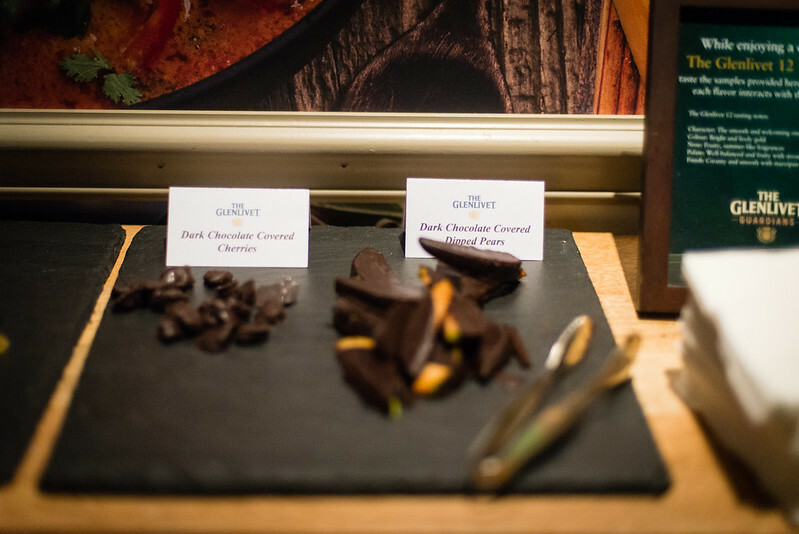 Sniff here (yes, I know, I’ve been absent quite a bit lately), and I’d just like to recap the adventure that Scotch and Sniff enjoyed a couple of weeks ago at the Glenlivet Guardian’s tasting. A LOT of people have been asking how we find out about these events. 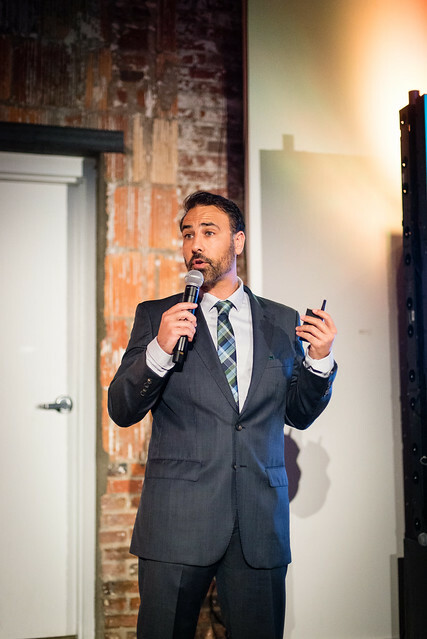 Simply put, most alcohol distilling or bottling companies host events to get people excited about their brand(s). Many of them require little more than signing up for an exclusive club online. The best part? Most of them are FREE. Yes. Absolutely free. You’d be nuts NOT to sign up. 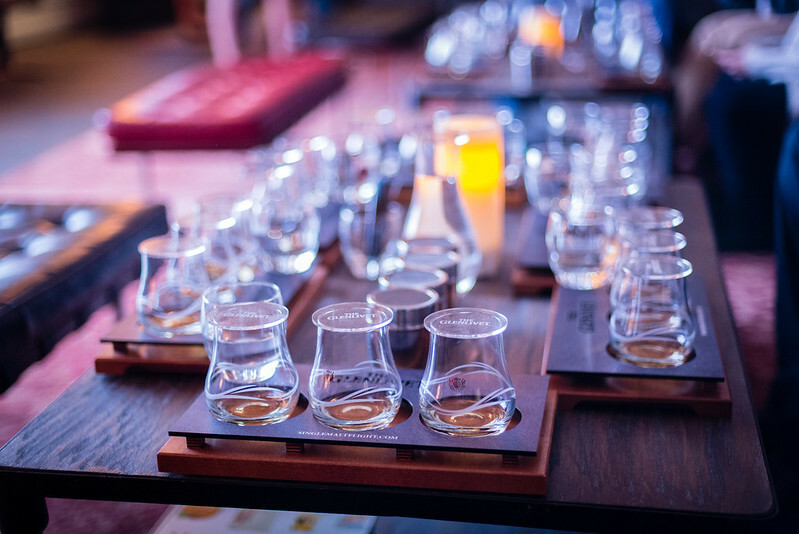 They keep you up to date on new bottlings and you… spend all of your money on delicious hooch! Upon arrival, we couldn’t help but compare this event to the Maker’s Mark event and the Balvenie event that we went to earlier this year. They had plenty of samples out to help you taste and this was all before the tasting class. A preview (now realized) of their Naddura Oloroso bottling. The tasting room setup was pretty killer. Very intimate and simultaneously group friendly. Each table had three glasses (where are the glencairn glasses??) with Glenlivet covers. 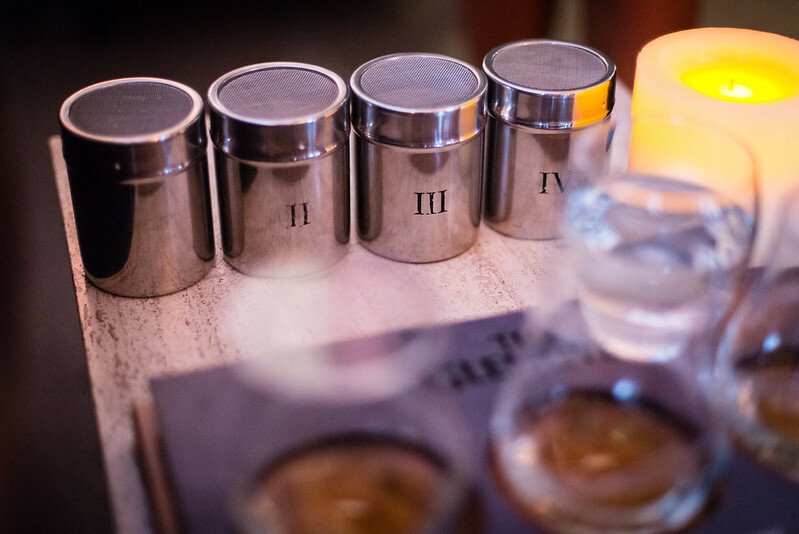 Near the glasses were four labeled canisters containing “fruity”, “spicy”, “flowery”, and “smokey” flavors. If you like the smell of canister IV (peat/smoke), you’ll love ardbeg. If you’re normal, well, you’ll heave a little lol. Our host, who to be honest, felt like a salesman and much less like a connoisseur. 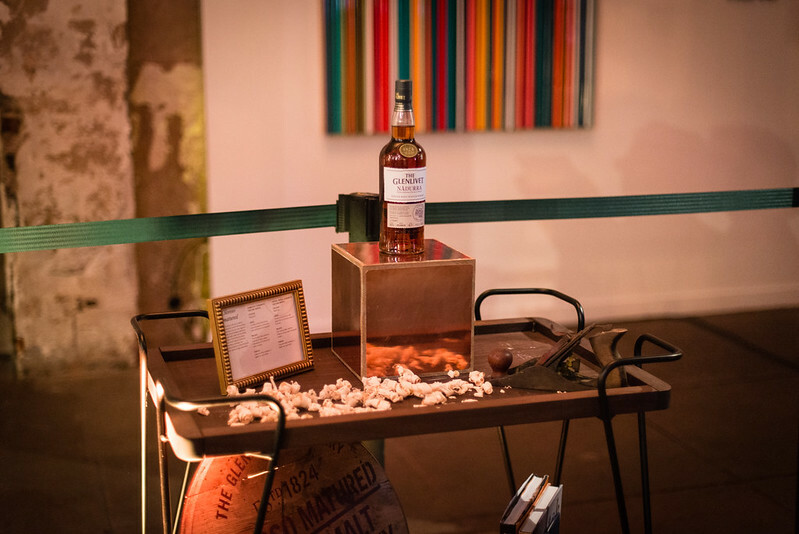 Glenlivet (or Pernot Ricard) and Maker’s should take some notes from how Balvenie presents their product. If you’re going to take the time to organize friends, take the time to teach and treat them like family. 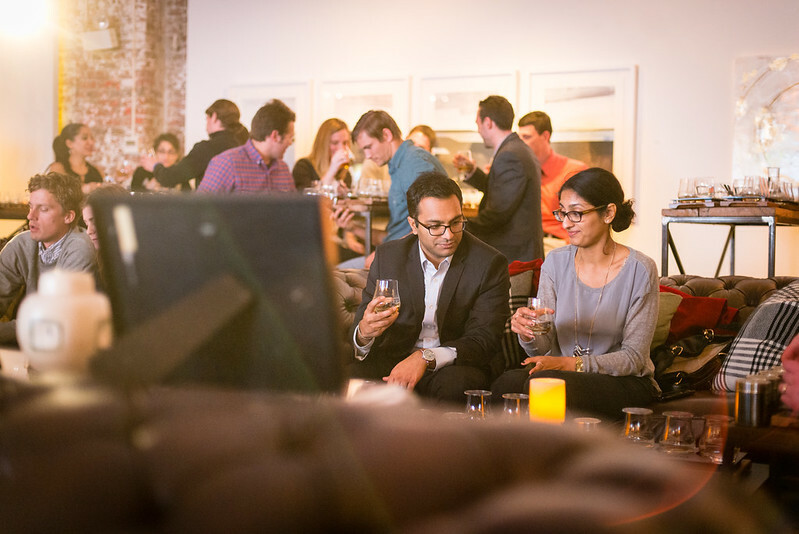 A random couple seated behind us, enjoying a dram! 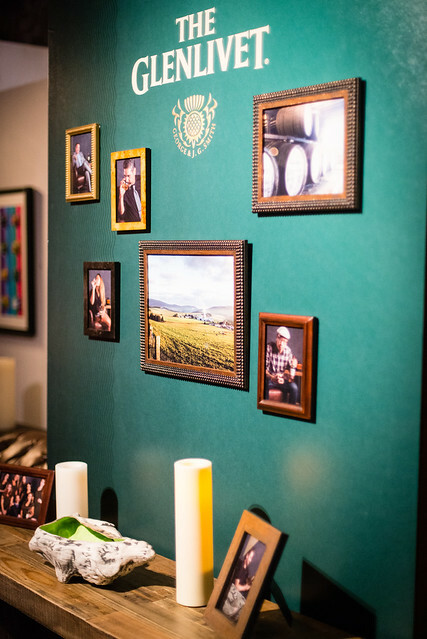 Overall the event was a good time but it lacked the family feel of the Balvenie event where you were introduced to pictures of people and told rich stories behind those people before sharing in a “family” drink. 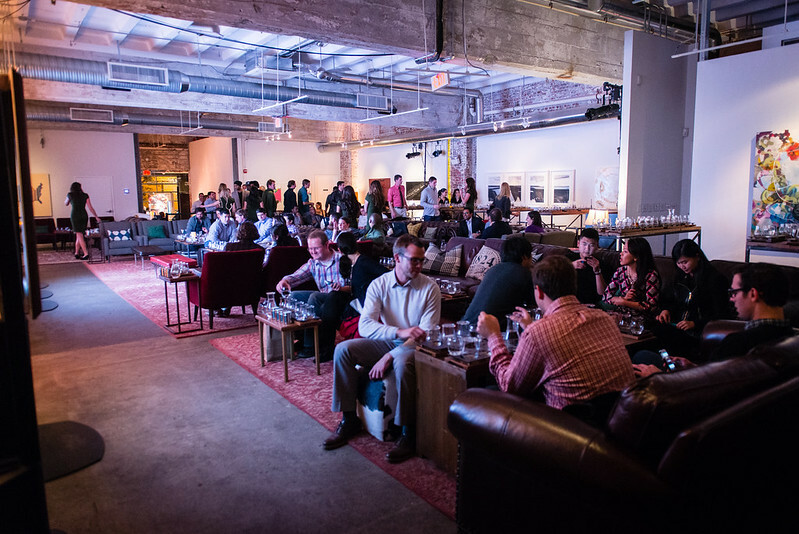 This Glenlivet event was much more of a “here, try some scotch ya noobs, go buy some”. Which, ironically, was still more organized than the Maker’s event where we had to yank information out of our hosts. So if you decide you’re going to visit some of these events, keep an open mind as they all seem to have their own feel. Now go open a bottle of your favorite sipper and enjoy! Previous Post Scotch’s 2014 Christmas Scotch Gift idea list Extravaganza Part II ! !